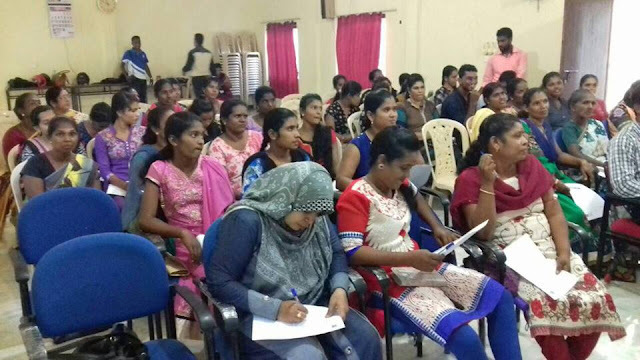 This was an additional Livelihood assistance skill training workshop on preparing a Business Plan for a particular business chosen by the community members. There were 55 participants in total and they took part in the session very actively. Mr.R.Poonampalan of CEFE Sri Lanka conducted the session and it was organized by the BMZ Project Staff and the District Coordinators of Ampara at SWOAD Training Centre, Akkarapattu on 12th February 2019. 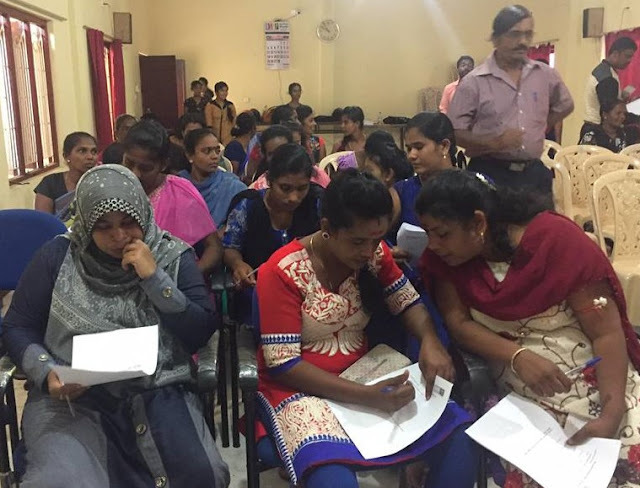 This is a part of a series of training sessions in helping the people to develop their livelihood skills and be engaged in a suitable and profitable Livelihood. Mrs. Laveena, Women & Gender coordinator, Mr. Gayan Ambegoda the Media officer and Mr. Nimal Perera the Project Manager of BMZ Project took part in this session. All the members both women and men, Muslim and Tamil were from the village communities where our district organization is involved. However, these members were not the selected members for the Livelihood assistance. 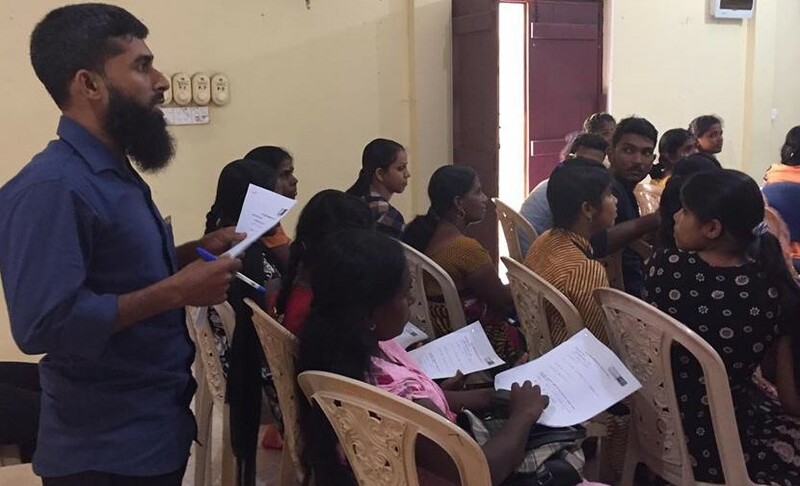 This was an open training session for those who are keen on better their livelihoods by pursuing a small-scale business what they could do in their community, village level. 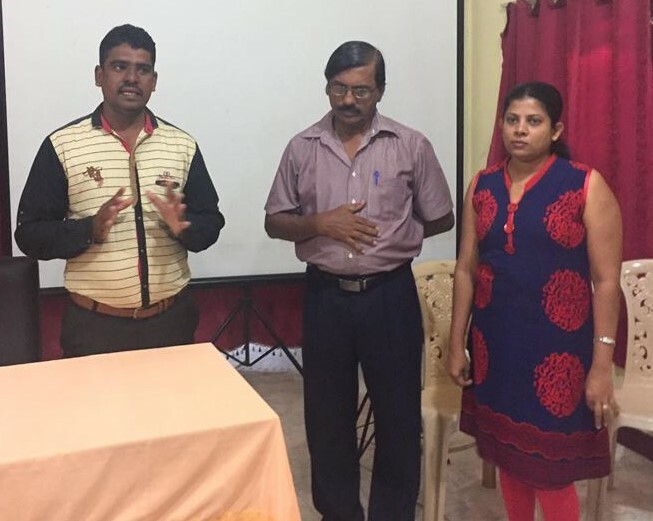 However, this training on preparing a Business Plan for themselves gave a very big boost to their lives as they began to see the basics know how of managing a small business. A completed business plan with correct data and information in their hand. * Enthusiasm to improve the small business already they are engaged in. * Expressed their willingness to participate in future such training. The almost 70% Women participants. *50% Youth participation *Enthusiasm and readiness to pursue their plans. * Ability to contribute to their own communities. * Very forward attitude of Muslim girls and boys (Youth) * Majority were keen on home gardening, Animal husbandry, Small shops, Saree stitching, Beauty parlors and Dress making. as for their small-scale business. There were 12 men and 24 female in the workshop.